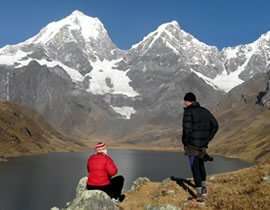 There is no doubt that the Cordillera Huayhuash is among the most beautiful mountain chains in the world. 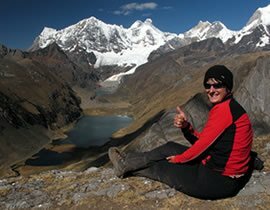 Located in the Peruvian Andes in South America and measuring a mere 30km in length; this mountain range is an incredible compact cluster of enormous icy towers surrounded by cascading rivers, turquoise lakes, and with a great diversity of flora and fauna. Here looming overhead stands the legendary Yerupaja (6634m), the second highest peak in Perú, and more legendary still, Siula Grande (6336m), a mountain famous as the setting of Joe Simpson’s epic tale of survival, “Touching the Void”. We have had the great fortune to have walked its paths many times and would like to invite you to join us on one of our adventures. 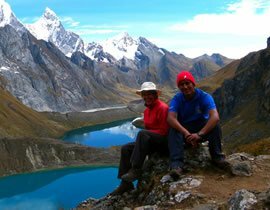 We offer several different trekking programs of different durations and for a wide range of budgets. You may, for example, mix the classic circuit with an ascent of a moderate peak like the Diablo Mudo, do a shorter route that lasts less than a week, or you may prefer to organize your own trek/climb for which we can provide all the information and logistical support you’ll need. 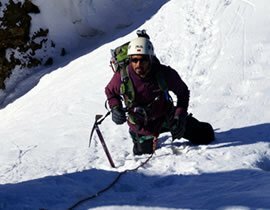 We offer different options, from the 4 day moderate grading trek until the 12 day strenuous classic circuit. I travelled a lot in all the 5 continents. I tasted from almost the all famous treks in the world. 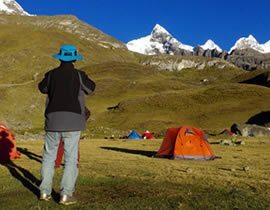 So, it was natural, that one day, I arrive to the Cordillera Huayhuash. 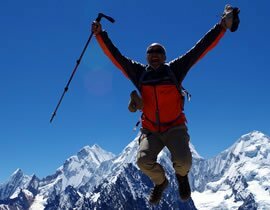 I am 57, so it was important to find a reasonable price; a company that provide us professional and reliable services, they key of a sucessful trek. 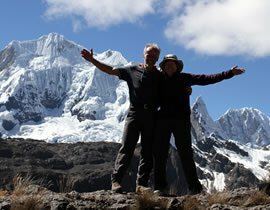 We completed the Cordillera Huayhuash circuit over 12 days with the Huaraz based, family operated company Go2Andes. The scenery on the circuit is nothing short of spectacular, this is complemented by the wonderful service of this company.